This topic is rely on 100% truth. Today facebook is a very huge social media site in all over the world. Even facebook users belong to all classes. Most of people use facebook through their computer & laptop even mobile phone devices too. Some people use it for making new relations & other use it for getting latest news & updates. But question is that why we find most of people promoting their facebook page on internet. People do not understand it why they are promoting their pages. Actually facebook is not only a social media website which provide us a place of pleasant & information. Its moreover providing us an online earning place. Most of People are earning thousands of dollars through their facebook pages. Today we will define that how people earn money through facebook page. First step is facebook page making. Make a facebook page on any topic which you like. But do not make your facebook page on vulgar or adult topic. Otherwise your page will be removed very shortly by facebook team. So Only make a informative page or with full of entertainment topic. After making a new facbook page your next step is to update it daily with new contents. Keep update your page on daily basis. People love to join up to date pages with unique contents. So this is very significant thing for your page that keep up to date your page & then go to the next step. Otherwise your next step will be useless. Next or third step is very significant when you will have to promote your page with people. But question is that how can we promote our new page with people. 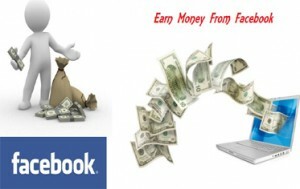 According to the last facebook traffic economical survey facebook page earning depends on your facbook page popularity. So if you want to obtain more & more earning then try to increase your likes & promote your page as you can. This is a very significant question that now how can we promote our facebook page & how can we obtain more & more likes. So its not so much hard. If you have satisfactory posts on your facebook page then join facebook groups which have huge numbers of members & submit request to people for joining your facebook page. You will see the positive result in few days. Now you need to make a blogger or website. Its very simple to make a blogger or website. Blogger is a free service of google. Where you can make a free blog. If you are new then I prefer you to make a blog at blogger.com Click Here for making a blogger website & then wait for six month for applying Google Adsense. Google adsense is an online advertising company which has been launched by google. According to the term of adsense your blogger or website should be six months old for apply an account. Click Here for instruction to apply an adsense account. Now must keep up to date your blogger with new posts. Google adsense team prefer a blog with unique & satisfactory contents. If your application is rejected from adsense team then don’t worry & apply for Chitika.COM Or PropellerAds.COM These are moreover two most popular advertising companies. But these are not alternative of adsense. But they are better than others. Now its time to start your earning. Now copy & paste ads codes from adsense panel or other advertising copany & placed it on your blogger or website & then share your blogger or website updated posts on your facebook page. You can moreover share your post link with your desire image & discretion yet Be ware do not share direct link of your blogger or website post otherwise your facebook page will be blocked by facebook team always use short link service like http://goo.gl it converts your post link in small link & when you share your blogger posts on your facebook page they automatically share with your facebook page member & they click on the sharing link to obtain information approximately the post they go to your blogger page & then your advertising company pays you in dollars. Most of people are making 3000$ above. Its 100% true. If you have any question approximately this article then you can post me comments at the below of this post. Good post . I will try to make a new facebook page and try to make money with facebook.